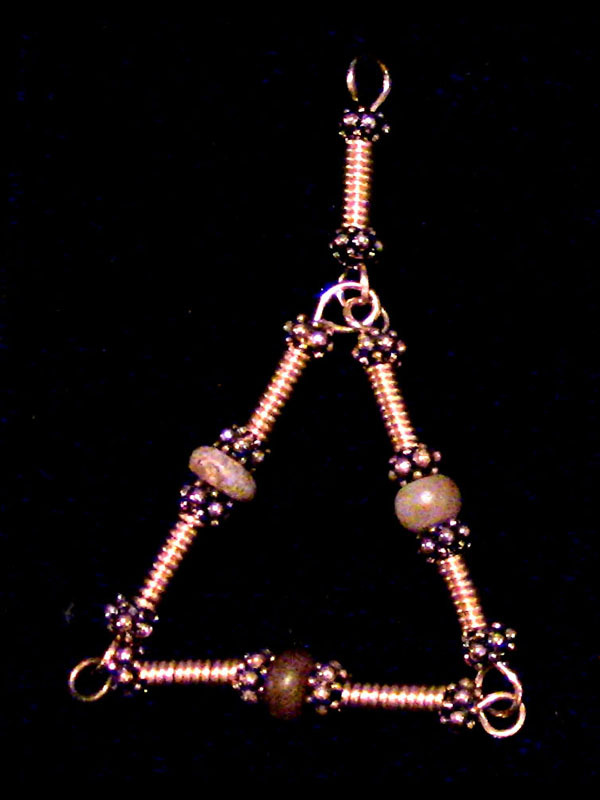 Ancient Carnelian Triad rebuilt with modern copper wire & findings. You’ll note that the copper windings are tight, very tight. The hedgehog spacer beads are very spiky and wonderfully active quantumly speaking. The ends of each core wire are bent into loops, making “Induction Rings”, an important aspect of any quantum device.